Pumpkin Fine Cars & Exotics' Car Of The Day... a 2007 Honda Accord EX-L, 4-Door Sedan. This IMMACULATE, PRE-OWNED Accord is the LUXURY EX-L Edition. With TAN LEATHER INTERIOR and a Glossy BLACK Exterior, this Honda has a GREAT COLOR COMBINATION and LOOKS JUST LIKE NEW! Powered by a 4 cylinder, 2.4 liter engine, Automatic Transmission, it's one of the MOST ECONOMICAL and RELIABLE vehicles on the American Roads today. It has been accessorized with TONS OF LUXURY OPTIONS and is selling for ONLY $16,995.00. With ONLY 31,981 ORIGINAL MILES, this pre-owned Accord will SAVE YOU THOUSANDS over the cost of a new one... without sacrificing that NEW CAR FEEL! As with all of Pumpkin's Fine Cars, this Accord has been FULLY SERVICED and PUMPKIN CERTIFIED. Full Power Options including Power/HEATED SEATS, a POWER MOON ROOF, AM/FM/WB Stereo with a 6-Disc CD CHANGER and ALLOY WHEELS are just the tip of the iceberg with this pre-owned Honda Accord. Its currently UNDER A FULL FACTORY WARRANTY for another month, until July 2010 and has a POWERTRAIN WARRANTY good thru July 2012 or 60k miles. A CLEAN & PERFECT TITLE HISTORY makes this car complete and READY FOR A NEW HOME!!! STOP BY TODAY and take this vehicle for a FREE, NO-HASSLE TEST DRIVE! We have FINANCING AVAILABLE, for those who qualify. Dont' be deterred, if this Honda Accord is not your cup of tea, we have a VARIETY OF OTHER PRISTINE, PRE-OWNED Vehicles for you to choose from. CONTACT US at (609)646-7676 or send us an email online at [email protected]. VISIT OUR WEBSITE at http://www.pumpkincars.com/ for a load of additional information on Pumpkin Fine Cars & Exotics and Professional Race Car Driver and Owner, Franck Freon. Come see our INDOOR SHOWROOM today and give us a chance to earn your business. Join the growing number of SATISFIED PUMPKIN DRIVERS on the road today! I learned some interesting facts about the Indy 500 from our newest team member at Pumpkin Cars this week. He researched the race in order to have a chat with Franck about his experience at the Indy 500 in 1995. Yes, I know I am dating myself – but it seems like yesterday to me!! The discussions that followed reminded me of those days and had me telling employees and friends around the office the stories from my time there with Franck. First, I wanted to share my story because several years ago while telling a random seat mate on an airplane about my “chance” encounter with my hubby, I was encouraged by the then slightly older than me gentleman to keep telling stories, especially ones that made us happy. His opinion was that sharing happy stories with others, whether they be close friends or strangers, was what it was all about. This thought made me think of the power of Facebook and Blogging, to share details with loved ones that we may have the desire but not the time to retell old stories to…Is it the dining room table of our generation? Perhaps, or maybe it’s just fun. Well, for those of you who might like to know, Franck and I met in the fall of 1994. His Indy car career was going OK, but not great. He lacked the funds from big enough sponsors to get him great rides. Yes, in most cases the driver brings the funds to the team….Considering he learned English from living with the wonderful Martin family in California and from his own hard work along with getting friends signed on to support his sport, he also drove pretty OK. Franck was well known for being fast and not smashing the expensive equipment. He always had a delicate touch. As for our meeting, that’s its own story. By the spring of 95, I had taken a leave of absence from my career in the health food industry with my beloved French company, Boiron. The excuse of finishing my MBA provided a much desired ability to spend six months dedicated to my new and everlasting love, Franck. I was able to sign on as his marketing girl. Really, it was such a gift to be part of a great group of people led by the phenomenally talented engineer, Steve Erickson, who named our self-formed team, Autosport. Steve and Franck and some gigantically dedicated and talented guys built the team and the car to go to the 1995 Indy 500. They had no money whatsoever. They pieced together enough dollar bills to buy a 1992 Lola chassis, long prior discarded as too outdated and used to compete at such a high level competition. I was in charge of business cards, tee-shirts, press releases and hospitality. Keep in mind, I knew nothing about auto racing, or even cars for that matter. I knew, however, that Franck was my future husband and the father of my future kids, so I figured that would get me by for a month in Indy. My Uncle and my Brother volunteered for extra help and support! Beginning with the first phone calls, I was shocked and impressed to find out that auto racing was a high level business experience with just about every complexity that business can present being expressed and experienced as fast as the drivers can drive. Business plans don’t take weeks to pan out. They swoosh past you in a matter of minutes. Even back then, press releases were written and shot out seconds after a lap was completed. It was a great experience professionally. That was already a great start considering I was a workaholic at the time. Well, in any case, the guys and girls in the press room, quickly took to calling me “Mrs. Freon”, even though it was a solid two years prior to our wedding. Of course, it was my dream vacation. I didn’t find out until years later that it was probably the most stressful or toughest time in Franck’s life. “To drive at those speeds with our shaky equipment was intense,” he would tell me. "I was going flat out lap after lap and day after day, it was mentally draining like nothing I’ve ever experienced before or since," Franck said. As his wife, I finally got it years later when I realized Franck found 12-14 hour work days or getting up at 4 am to go buy great cars in the snow after a 3 hour drive each way two days back to back was no problem at all! 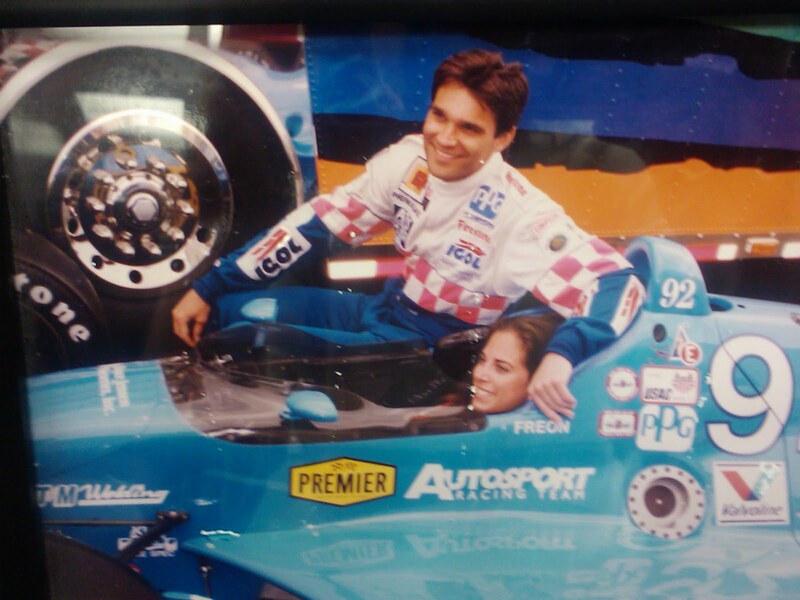 Franck built Pumpkin Cars from scratch himself, like he and Steve built the team for the Indy 500, with little to no funds and in the face of bigger and more powerful forces with tons of business friends/connections doing the same thing. He and his Autosport team worked so hard to achieve his fantastic lap speeds of an average 224.432 MPH. Not that the car would have made it through and entire Indy 500, but when he was bumped from the 33rd spot to the 34th spot despite his 224+mph performance, it was devastating. With an engine whose power came mainly from the driver and his engineer, they had deserved to make it to the “show”, at the grand Indianapolis 500. This is what I think anyway. Franck is modest about his abilities and his successes, both in auto racing and today. He was a very talented race car driver and a very well-liked and respected guy on every track. I still don’t understand much of the technical things that went on that month, but I think some Pumpkin customers have had a taste of Franck’s deep knowledge of cars and their relationship to the road!! 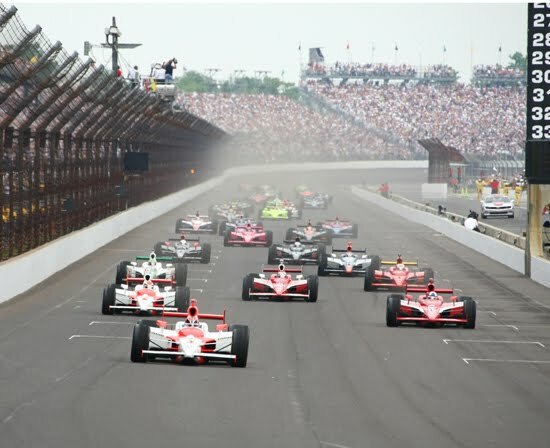 As for the Indy 500, every year that goes by, we say private prayers for the drivers’ safety at Indy because it is such a fast and crazy race track. We enjoy the excitement from a distance and remember our time there with joy. We want to wish all of this year’s drivers a great race and to the fans, enjoy every lap!! Finally, to all the people who supported us in 1995 – we thank you. Happy Memorial Day and Indianapolis 500 Weekend! Drive Safe! As the Summer kick's off with a long Holiday weekend, all of us here at Pumpkin Fine Cars & Exotics want to wish everyone a very Happy and Safe Memorial Day Weekend! It can be a great time for family and friends, bar-b-ques and beaches, however with all that fun and excitement comes traffic and sometimes not so great drivers. We want to remind everyone to BUCKLE UP and DRIVE SAFE! If your not already cruising around in your Pumpkin car, stop by this weekend and test drive one or a few of our pristine, pre-owned luxury vehicles. Whether your on a budget or looking for something extra special, we have a little bit of it all. For a complete listing of our pre-owned vehicles currently in-stock, log onto our website at http://www.pumpkincars.com/. We are open tomorrow, Saturday May 29th from 10am-3:30pm, closed on Sunday. We ARE ALSO OPEN on MONDAY, the 31st, from 10am-3:30pm, so stop on by, rain or shine, and give us a chance to put you on the road in one of our pre-owned cars. Feel free to Contact us at (609)646-7676 for more information. Pumpkin Fine Cars & Exotics' Car Of The Day... JUST IN!!! A 1999 Volvo S70 GLT, 4-Door Sedan with its 5 cylinder, AWD, Automatic Transmission. This CLASSIC, PRE-OWNED Volvo DRIVES JUST LIKE A DREAM and over the years, Volvo has acquired quite a following from driver's around the world. The Volvo name is synonymous with RELIABILITY, COMFORT and SAFETY. Listed for ONLY $7,995 with 77,780 original miles, its quite ECONOMICAL too. Consumer's have given this vehicle HIGH RATINGS and have posted TONS OF GREAT REVIEWS on sites like Edmunds.com. At Pumpkin Fine Cars, we KNOW our cars are always the BEST AROUND because we take every step and every precaution to put ONLY THE MOST Reliable & COST EFFICIENT, Pre-Owned vehicles on our showroom floor. As FANTASTIC as this pre-owned S70 is, it comes with LOTS OF LUXURY FEATURES too match. Power/HEATED SEATS with MEMORY Positioning, ALLOY Wheels, Power Mirrors, Fully Powered Functions and LEATHER INTERIOR are just to name a few! It has a GREAT COLOR COMBINATION and VERY LOW MILEAGE. It is a ONE OWNER vehicle with a PERFECT TITLE HISTORY. Come in for a FREE test drive or Contact us at (609)646-7676 with any questions. More information can be found on our website at http://www.pumpkincars.com/ where you can find detailed information about financing, extended warranties, the History behind the Pumpkin name and even view some testimonials from previous satisfied Pumpkin customers. A complete listing of our pre-owned vehicles currently in-stock can be viewed by clicking here! To schedule an appointment or to see one, or a few, of our PRISTINE, PRE-OWNED Vehicles, email us at [email protected]. As any auto racing fan certainly knows, and most casual sports fans should know, this Sunday May 30th, is the greatest of American car races, The Indianapolis 500. Celebrating it's Centennial Era, the Indy 500 is less of a race and more of a Memorial Day Weekend Institution. A good old slice of Americana, if you will. For those of our readers that do not know, the owner of Pumpkin Fine Cars and Exotics, Franck Freon was a professional race car driver for 18 years. He has raced all over the world, in many different classes and formats. His greatest finishes came in endurance races. He and his teammates claimed a legendary win at the Rolex 24 Hours of Daytona in 2001, beating Dale Earnhardt and Dale Earnhardt Jr.. What a lot of customers and his fans do not know is that Franck came within fractions of Miles Per Hour of qualifying for the 1995 Indy 500. As a sports fan myself, it was very cool to get to sit and talk with Franck about his Indy 500 experience. We talked about what it was like then compared to now, the difference between the cars, speeds and drivers. The 1995 Indy 500 was the last one before the infamous split between the IRL (Indy Racing League) and CART racing and therefore the field was packed with more talent than has been seen since (this year is the first since 1995 that the IRL and CART have unified). 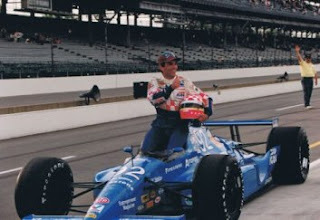 Competing against such names as Bobby Rahal, Robby Gordon, and eventual winner Jacques Villenueve, Franck Freon finished "on the bubble" meaning he was the last driver left out of the Indy 500 field. Franck's qualifying speed was 224.432 mph, which was not quite enough to make the field, but was better than legends such as Al Unser Jr and Emerson Fittipaldi who also did not qualify. Now for those of us who have never, and probably will never drive at almost 225 mph we cannot imagine the training and mental focus it must take to do so. When talking with Franck earlier this week he admitted that even a driver that was so highly trained and experienced as he was, not only driving, but also competing at those speeds was a pretty harrowing experience. It was very intense, and you had to be a little crazy to even attempt it. He drove through some of the turns at 230 mph!! Arie Luyendyk set an unofficial track record that year with a practice lap of 234.913 mph. Currently, he explained, they have scaled back the power of the cars because safety had become an issue from 850 Horse Power in 1995 to about 650 to 700 today. Not only was he the last one left out of the field but he came so close while driving a car that had a 1992 chassis, keep in mind this was in 1995. We all know how quickly the technology in auto racing evolves and Franck and his team were at a definite disadvantage having a three year old chassis, but still came very very close to a start in the Indy 500. Franck spoke very fondly of his experience and recognized what a huge honor and accomplishment it was to come so close. Obviously, as with any competitive professional athlete, he would have loved to drive in a race with such tradition and hoopla as the Indy 500. This experience, however, did not define his career by any means because he went on to be very successful as an endurance driver. We at Pumpkin Fine Cars and Exotics wish the drivers in this years field the best of luck and wish them a safe race. We also hope all of our friends and customers enjoy a safe, festive Memorial Day Weekend and enjoy the race! If you would like to speak with Franck yourself about racing, or just cars in general, feel free to visit our unique indoor showroom. As always we can be reached via the phone at 609-646-7676 or via email at [email protected] . You can browse our full inventory online, or in the showroom, whichever is more convenient. Please become a Fan of Pumpkin Cars on Facebook, follow PumpkinCars on Twitter and if you enjoy reading it, subscribe to our blog. Pumpkin Fine Cars & Exotics' Car Of The Day... CHECK OUT this PRISTINE, 2000 Mercedes Benz C280, 4-Door Sedan. This little GEM is a RARE FIND. With ONLY 36,589 ORIGINAL MILES, this pre-owned C-Class is BARELY BROKEN IN! This is THE DEFINITION of a Pumpkin Car RIGHT HERE!... Tons of LUXURY FEATURES, a PERFECT TITLE HISTORY and CLEAN, CLEAN, CLEAN! This vehicle has been PUMPKIN CERTIFIED and FULLY SERVICED. 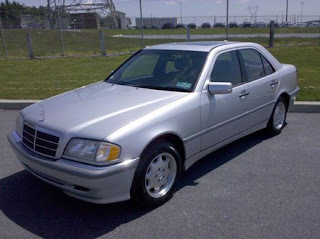 We are selling this INEXPENSIVE SPORTY Benz for ONLY $11,995.00! With Silver on Prefect Black LEATHER Interior and Cherry Wood Trim, its as Classy & Stylish as it is Reliable and Dependable. Features include 6-Way Power SEATS with Memory Positioning, AM/FM/WB Stereo with a 6-Disc CD CHANGER, Power MOON ROOF, ALLOY Wheels, Folding Rear Seats with Trunk Access and so much more! If you are looking for an AFFORDABLE, LUXURY Sedan then this Mercedes Benz is the PERFECT CAR for you! 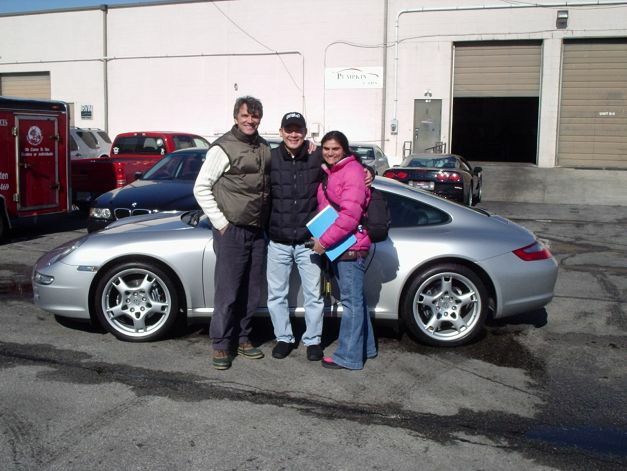 Franck Freon, owner of Pumpkin, spares no time or expense when it comes to choosing his Fine & Exotic Cars, so when you purchase a Pumpkin Car you can be comforted in knowing that you got the most for your money and the best deal around! Check out our 'Testimonials' section at http://www.pumpkincars.com/ and see what other satisfied Pumpkin Customers are saying about their pre-owned vehicles. For more information and to view a complete listing of our pre-owned vehicles currently in-stock, log onto http://www.pumpkincars.com/. Contact us at (609)646-7676 or email to [email protected] to schedule that NO-HASSLE Test-Drive TODAY! We have financing available for those who qualilfy and we take trades of any kind. Before you waste time searching for other deals, stop by our UNIQUE INDOOR SHOWROOM and let us put you on the road in a PUMPKIN FINE CAR! Please keep in mind that Pumpkin Cars is like "Top Gun" or Harvard University for pre-owned cars, we are very precise in what we look for in a car and we don't accept just any car. As mentioned in part one of this blog, "the best of the best". Once we make the decision to purchase a particular car, whether it is a two year old or a 10 year old Mercedes Benz, BMW or Honda all the cars get put through our rigorous Pumpkin Certification program designed by Franck Freon himself. Every car then is given everything it needs, and often it is not a whole lot, to be presented for sale in the best possible condition. We change oil, brakes and tires if needed, we repair paints chips and scratches and small dings. We go the extra mile to make each and every car is pristine! Finally, once you the buyer makes the decision to purchase and take your car home, you need to research maintenance and upkeep for you pre-owned car. There is one particular item that is essential to this mission: the owners manual. Many car owners only open the owners manual when they absolutely have to, meaning, when there is a problem with the car or when you need help programming the navigation system. The fact of the matter is that the owners manual, although sometimes cumbersome and difficult to read, is your best guide to keeping your car in tip-top shape. The people who wrote the manual are the same ones that built your car and nobody knows your car better. The manual gives you your regular maintenance schedule, what types of fuel will give you maximum performance and what the warning lights mean, if any, that appear on your dash. We try to secure and specifically look for the owners manual when we buy our cars. We know how important it is and know it is important to the lucky customer to become the next owner of that car. If we cannot get the original owners manual, we will order a new one, at no cost to the customer because we want to make sure that they take care of it as well as we did at Pumpkin Cars. This comes from the philosophy of Franck Freon himself and from is 18 years of experience as a professional race car driver. Come visit our unique indoor showroom and rest assured if you are looking at a Pumpkin Car, the only homework you have to do is pick which one you want, we'll handle the rest! Our friendly, knowledgeable staff is ready and waiting to put you in the car of your dreams and put another proud alumnus of Pumpkin Fine Cars out on the road. Stop by to see Franck and talk racing, cars in general or just browse the showroom. If you've done your portion of the homework and have zeroed in on a particular car, stop by and take it for a free, no-hassle test drive. Hope to see you soon! Please remember to find Pumpkin Cars on Facebook, follow PumpkinCars on Twitter and subscribe to this blog. We appreciate any and all feedback to improve our online content as much as possible, please don't be shy! As always we can be reached via phone at 609-646-7676 or via email at [email protected] . A story like this is always one we enjoy sharing with our friends and customers. It starts with the students at Chester M. Stephens Elementary School in Budd Lake, NJ. These students were participating in a reading initiative called, "The Road to Success, Read at CMS" and as incentive to reach their goal Franck Freon sent a gift of 700 autographed Hero Cards for their Gold Medal Ceremony. For those reading this that do not know about Franck's background, he was a professional and very successful race car driver for 18 years prior to founding Pumpkin Fine Cars and Exotics. If you ever stop in our showroom, you will see many of the numerous trophies, awards and accolades that Franck received during his illustrious career. Of course he is very proud of these achievements, but he is even more proud of his work giving back to the community, especially to students. In this particular case we were thrilled to hear about how excited and proud the students at CMS Elementary were to receive their Franck Freon autographed Hero Cards for meeting their goal and improving their reading skills. In a letter from Mrs. Amy Lobban, the Reading Specialist from CMS Elementary, she explained how impressed the children were to learn about Franck and his racing accomplishments. Well, we at Pumpkin Fine Cars would just like to let those students know how impressed we are with their efforts during the reading initiative and to let them know how proud we are of them. We would also like to let them know to keep up the hard work and they can certainly be a huge success in life with a solid education. Enclosed with the letter from Mrs. Lobban were hand made "Thank You" cards from many of the children that were simply awesome! These cards are going up for display on the wall of our showroom so all of our customers and friends can see what a great job the students did! This is just one of many stories we hope to share with you to show how Pumpkin Cars and Franck Freon are actively involved in making our community a better place and showing students that they can achieve anything they want when they have a great education. Please visit Pumpkin Fine Cars online to learn more about Franck Freon. As always we can be reached via the phone at 609-646-7676 or via email at [email protected] . Also please Find us on Facebook, follow PumpkinCars on Twitter and subscribe to this blog. Pumpkin Fine Cars Does Homework For You pt 1. When you venture into the pre-owned automobile market, there are a lot of factors to consider and a lot of homework that needs to be done. It can be a very stressful time. A lot of people dread the experience. It's true that there is a lot of research on the car buyer's side such as what types of cars you are interested in shopping for, what vehicle condition are you willing to live with, and how much is your particular budget for that specific car purchase. Many of these decisions could be made easier or at least taken seriously depending on which dealership you choose to work with for the purchase of your car. At Pumpkin Fine Cars we do most of the homework for you. Obviously it is up to you, the buyer, to determine the types of cars in which you have interest. As far as researching in what condition any particular cars are kept, that is where Pumpkin Cars shines! Before we even make the decision to even think about buying a car to bring into our inventory, we run Autocheck and Car Fax reports. There are certain items we look for on these reports that will automatically disqualify a car from becoming a Pumpkin Car. When owner Franck Freon looks at these reports and sees either an accident history, any problems with titles or odometer readings the decision is made. Not every car has what it takes to be called a Pumpkin Car, and we understand that. We think that some of the cars get a little disappointed because every car we look at wants to be a Pumpkin Car, it's a great life. We are not here, however, to buy as many cars as possible. Our cars are not here, simply because they just came off lease or got picked up by teams of car hunters. We are here to find the best of the best. You can come see the best of the best at our unique indoor showroom and take your pick to go our on a free, no hassle test drive. Stop in and say Hi to Franck and our friendly, knowledgeable staff. As always we can be reached over the phone at 609-646-7676 or via email at [email protected] . Please remember to become a Fan of Pumpkin Cars on Facebook and follow PumpkinCars on Twitter. Pumpkin Fine Cars & Exotic's Car Of The Day...a 1997 Mercedes Benz E420, 4-Door Sedan. This RARE FIND is in EXCELLENT CONDITION and has EXTREMELY LOW MILEAGE. You won't find another Benz like it, with ONLY 79,561 original miles, anywhere around for UNDER $10k. This PRISTINE, pre-owned E420 has a PERFECT TITLE HISTORY and is currently selling for ONLY $9,995. Franck Freon, Owner of Pumpkin Fine Cars & Exotics, spares no expense when it comes to picking the perfect pre-owned vehicles to offer up for sale. He takes his time and uses his 18+ years of experience to choose only the best and most reliable, cost-efficient, quality vehicles. This E420 has been FULLY SERVICED and PUMPKIN CERTIFIED, ready for a new home! This GREAT BUY has lots of options and 4 BRAND NEW TIRES! Silver Exterior on Light GRAY LEATHER INTERIOR makes a GREAT COLOR COMBINATION! Power Seats with MEMORY Positioning, ALLOY Wheels, Power Moon Roof, Power Mirrors with an Auto-Dimming Feature and Bose Premium Sound System are just some of the luxury options this E420 has to offer. Stop by our INDOOR SHOWROOM for a FREE, NO-HASSLE, Test Drive today. For more information on this preowned E420, contact us at (609)646-7676 or by email at [email protected]. A complete listing of our pre-owned vehicles, currently in-stock, can be found on our website at http://www.pumpkincars.com/. We have financing available, for those who qualify, and extended warranties to fit anyone's budget. We pride ourselves, here at Pumpkin, for being fair and honest and providing only quality vehicles in a family-friendly atmosphere. They say that a picture is worth a thousand words, and we here at Pumpkin Fine Cars and Exotics agree and then some. We believe that not only is a picture worth a thousand words, but that a test drive is worth a thousand pictures! As with most businesses in the past five years or so, we have had to adapt to the new digital age and make our business accessible to the masses via the Internet. The Internet provides a fantastic opportunity for Pumpkin Cars specifically to showcase our inventory. Now one of our great customers can shop for a car from almost anywhere in the world 24 hours a day. We would like all of you to know that we take great pride in how our Pumpkin Cars are presented online. We have a specific list of features inside and outside of each car that we take pictures of so that there are no surprises when you come and see the car in person. Each one of our immaculate pre-owned vehicles has a minimum of nine pics each, and when possible some of them have up to 30! In 30 pictures we believe that you can get a great sense of the car and see details that you used to only see in person. We have listings on our own website, of course, with pictures and detailed descriptions, but we are also listed on Cars.com, where we are able to share many more photos with our customers. If you happen to see our listings on Cars.com you will notice that most cars have a minimum of 15 pictures and like we mentioned earlier some have upwards of 30 or more. Now, pictures are all well and good, and are essential these days to presenting our inventory to as wide of an audience as possible. Nothing, however, can beat a good old fashioned test drive. You can't smell the clean crisp leather of a Mercedes Benz through a picture. You can't feel the acceleration and tight steering of a BMW 328i through a picture. You most certainly cannot hear the hum of the engine or the sound of your favorite music playing through Bose speakers through a picture. In order to experience all of these things at once, the only way is to hop in and drive the car yourself. We know that most people will test drive a car before they buy it and here at Pumpkin Fine Cars and Exotics we invite you to come in today, tomorrow or whenever you have time and take any one of our Immaculate pre-owned cars in the showroom for a free, no hassle test drive! It's simple, it's fun and it's really the only way to know which one is the car for you. If you are just starting your search for a new car and are not ready to get one out on the road, feel free to stop in and check out our unique indoor showroom where we keep our cars open, unlocked and we invite you to get in and try it on. Our friendly, knowledgeable staff is always available to answer any questions. As always you can contact us via the phone at 609-646-7676 or via email at [email protected] . We also invite you to become a Fan of Pumpkin Cars on Facebook, follow us on Twitter and please subscribe to our blog! Hope to see you soon driving off the lot in your very own Pumpkin Car. Good Saturday afternoon, friends and customers of Pumpkin Cars. Today we will give you some insight into what constitutes a Pumpkin Car and tell you a little about one that Franck Freon and Joe handpicked yesterday that is the absolute personification of a Pumpkin Car. This is a 2000 Mercedes Benz C280 with....ready for this...36K miles! This car is in phenomenal shape both inside and out and has barely been pulled out of the previous owners garage. Being as that it is 10 years old it has driven an average of 3,600 miles a year, which is way below average. Now keep in mind that this is a Mercedes Benz, so you also have all of the great features and options that come with a Mercedes such as: Heated Seats, 6 Disc CD Changer, Black Leather Interior, Moon Roof and Power Everything (seats, windows, locks, steering). This is an extremely rare find and it takes the expertise of Franck Freon and Joe Capocci to snag a Gem of a car like this. Where many dealers that buy from the same source may buy five to ten cars in a day, we will only buy one or maybe two, because only one or two out of what is available is worthy of being called a Pumpkin Car. This car has had no accidents reported and has a spotless title history and is priced at $11,995! With Joe on site and Franck backing him up over the phone and Internet, there is nothing that slips past these two. Every inch of the car is inspected and Joe knows precisely what Franck wants him to pay close attention to and what to look for in a Pumpkin Car. It must be clean, pristine and ready to hit the road that day or else, we will pass. We would rather pass on 50 cars that are merely OK, to find that one car that Franck would be proud to put the Pumpkin Logo on, park in our showroom and present to our customers. Even once we purchase a car, the minute it arrives at our unique indoor showroom Franck performs a detailed Pumpkin Certification and we have the car fully detailed on site and serviced by the extremely talented guys next door at Darrell's Auto Repair. So if you want to buy a pre-owned car from a source that you can trust, look no further than Pumpkin Fine Cars and Exotics, where you can rest easy knowing that if it was not the best of the best, it would not even be in our showroom. Stop in at any time for a free no hassle test drive, browse our inventory of immaculate Pumpkin Cars such as the aforementioned 2000 Mercedes Benz C280, or just stop and say Hi to Franck and hi friendly, knowledgeable staff. Also please remember to become a Fan of Pumpkin Cars on Facebook and follow us on Twitter. Enjoy the weekend!! We can be reached by phone at 609-646-7676 and via email at [email protected] . Pumpkin Fine Cars and Exotics Car of the day....a 2006 BMW 325i. 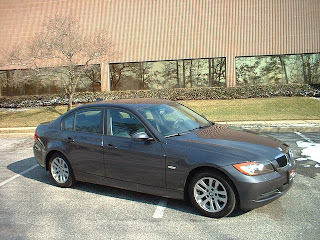 This like new BMW is truly the ultimate driving machine! With only 35K miles, it's barely touched the road. This Graphite 325i has sharp Gray Leather interior and is loaded with all the options that make BMW the top of the line. This car combines grace, beauty and power like no other. It has the Premium and Cold Weather Packages with heated seats and steering wheel. The powers option are out of this world...Power seats with Lumbar Adjustment, power windows, locks and power steering with Telescopic Steering Wheel. It comes with a CD Player and iPod/MP3 connection. This beauty will inspire the hidden race car driver in all of us. In addition to the interior features it also has Alloy Wheels, with Run Flat Tires and Dynamic Xenon headlights. These Dynamic headlights actually pivot with the contours of the road to help the driver see while going around curves and turns. This immaculate 325i is priced reasonably at $19,995, once again below Kelly Blue Book Value and will not stay in our showroom for very long! If you want a new BMW but don't want to pay top dollar for it this is the car for you. Of course all of our Pumpkin Cars are hand picked by owner and retired professional race car driver of 18 years Franck Freon and all are inspected using our Pumpkin Certification. Picture the jealous looks of your friends and family as you cruise by in this gem. The logic of purchasing this car is simple....someone bought it new in 2006, drove it around the block a few times, sold it and now you have a chance to own it for a almost half of the original purchase price. If you can somehow find a flaw in our logic, please let us know, otherwise we have no choice but to consider this a great deal! If you are interested in this or any one of our Pristine Pre-Owned Vehicles in stock, please stop by our unique indoor showroom and ask of friendly knowledgeable staff members to take it for a free, no hassle test drive! At Pumpkin Fine Cars our customers are treated to a relaxed car shopping experience. Feel free to browse our inventory or come in and pick up the car of your dreams today. As always we can be reached over the phone at 609-646-7676 or via email at [email protected] . Also please look for us on Facebook and follow us on Twitter! We here at Pumpkin Fine Cars and Exotics have a well known and well established reputation as a dealer of fine, luxury pre-owned cars such as Mercedes Benz, BMW and Acura. What most of you do not know, however, is that we also carry a wide variety of affordable, reliable pre-owned cars as well. We realize in today's economy for a lot of our customers a car is merely a form of transportation. It needs to be inexpensive, yet reliable. We know it doesn't hurt for it to look great too! While shopping for a pre-owned vehicle it can be very difficult to find a car that has the winning combination of being low cost, yet not be a clunker or a lemon. We have some good news for those of you that are picking up what we are putting down. Pumpkin Cars owner Franck Freon does not compromise our Pumpkin Certified Program for any car we purchase, whether it is a $50,000 Mercedes Benz or an $7,000 Toyota. We understand that just because a car may be older and have more miles on it, that does not mean that it should not run well and be kept in great shape. Even though it may not be a "luxury" car, that does not mean it cannot be a Pumpkin Car! Right now at Pumpkin we have quite a few cars that fall into this category. We have a great 1999 Toyota Camry that we just received into stock that runs magnificently and is super clean and well kept. It has 95K miles on it and it is priced right at $6,995. This car only had two owners and would be great for a student or for a teenager looking for a first car, without breaking the bank. It has some nice options such as power locks, seats and windows with an AM/FM Stereo and CD Player. If well taken care of, this car will drive for another 100K miles, easily. Another example that we just received is the best of both worlds! Check out this 1998 Mercedes Benz E320. Who says you can't have luxury as well as low cost. This silver on black classic looking Benz has 94K miles and has been kept in such great condition, by it's ONE OWNER, it is a candidate to go well over 200K miles. Besides being very safe and reliable it also has all the options you would expect from Mercedes Benz. You've got Power/Heated Seats, a 6 Disc CD Changer, Moon Roof, Leather Interior and Power Everything. You may now be thinking, that's great, but what is considered to be "inexpensive" for a Mercedes Benz. How about $9,995? Yep, we said it, $9,995. Again, this car is a GREAT BUY right now. A 1998 E Class Mercedes Benz in this great condition, at this price, could truly only be a Pumpkin Car! Pumpkin Fine Cars & Exotics' Car Of The Day... a 2007 Ford F150 XLT FX2, 4-Door Super Cab. This IMMACULATE Ford is one of the BEST SELLING VEHICLES in America's line-up. This mack-daddy of a truck offers a SMOOTH AND QUIET RIDE, responsive handling and an attractive and FUNCTIONAL CABIN. This pre-owned F150 comes with the XLT Package which includes CHROME exterior TRIM, upgraded LEATHER INTERIOR and full power accessories. It is an FX2 (RWD) featuring 20" ALLOY SPORT WHEELS, Bucket Seats and Leather Wrapped Steering wheel. This is by far the MOST EQUIPPED Ford Pick-up truck to date. This F150 has a PERFECT TITLE HISTORY and with ONLY 26,474 original miles, we are selling it at $23,995, thats THOUSANDS BELOW BOOK. Currently UNDER FULL FACTORY WARRANTY Till Nov. 2010 or 36k miles, whichever comes first, and a POWERTRAIN WARRANTY Till Nov. 2012 or 60k miles. This FULLY LOADED, PRISTINE Ford has TONS OF FEATURES including MP3 & CD Player, Heated Mirrors with Auto-Dimming Feature, Privacy Glass, a TOW PACKAGE and MUCH MUCH MORE! It has been FULLY SERVICED and PUMPKIN CERTIFIED. If you want the comfort of buying from someone you can trust, then stop by our UNIQUE INDOOR SHOWROOM and ask for Franck Freon. We have a NO-HASSLE, Family Friendly atmosphere and never any hidden costs or gimmicks. For more information contact us at (609)646-7676 or email us at [email protected]. A complete listing of our pre-owned vehicles can be found on our website at http://www.pumpkincars.com/. Pumpkin Fine Cars & Exotics' Car Of The Day... a 2006 Honda CR-V Special Edition, 4-Door SUV. This PRISTINE, PRE-OWNED Honda Sport Utility is PACKED FULL OF EXTRAS! The STRIKING COLOR COMBINATION features Metallic Graphite exterior accented beautifully by Charcoal Gray LEATHER INTERIOR. A 4-cylinder, 2.4 liter automatic transmission and ALL WHEEL DRIVE gives you the needed power of a typical SUV without costing you tons at the gas pump. Honda's are WELL KNOWN for their RELIABILITY and SUPERIOR CRAFTSMANSHIP making them one of the leading auto manufacturer's on the road today. You can own this BETTER THAN NEW, pre-owned Honda CR-V for $17,495.00. With ONLY 51,111 original miles and a CLEAN AND PERFECT TITLE HISTORY you'll save thousands over retail cost. Besides the Leather interior this SPECIAL EDITION CR-V comes FULLY LOADED with power/Heated Seats, Power MOON ROOF, AM/FM/WB Stereo with an in-dash 6 Disc CD CHANGER & Cassette, the OPTIONAL PAINTED-BUMPER colored to match, power windows, locks and mirrors, fold-down rear seats for added storage space and so much more. Here at Pumpkin Fine Cars & Exotics, no vehicle goes un-touched. All of our pre-owned vehicles get a thorough inspection and are PUMPKIN CERTIFIED. A professional FULL-DETAILING and FULL SERVICE complete the pre-sale procedures leaving each and every vehicle looking their best and READY FOR NEW HOMES. Stop by our unique INDOOR SHOWROOM and take one, or a few, of our pre-owned vehicles for a test drive today. For more information contact us at (609)646-7676 or by email at [email protected]. To view a complete listing of our current inventory, log onto http://www.pumpkincars.com/. Today we present to you a another blog focusing on current pre-owned car industry trends and how we at Pumpkin Cars identify these trends and use them to create a better car buying experience for you, our valued customers. In the case of this particular blog we want to show you how Pumpkin Cars is again way ahead of the curve when it comes to some of these trends. A recent article in Used Car Dealer Magazine talks about how cars are being treated as a commodity, meaning the lowest price gets the buyer's business. Many of the "big guys" market their cars strictly on price point and incentives, which is all well and good...if that is what you are looking for in a buying experience. However, if you are looking for a different and much better experience, come see how Pumpkin does things. We present pristine pre-owned cars, at a fair price, with outstanding customer service. The article also talks about how many dealers are now trying to shift to creating more value and gaining the loyalty of repeat customers. These dealers are about a decade late in trying to do business this way. Franck Freon founded Pumpkin Cars on the premise of treating his customers right and pricing his inventory fairly to begin with so that those customers will continue to come back to buy Pumpkin Cars and send other customers to do the same. We provide the highest caliber pre-owned vehicles and most of them are priced below Kelly Blue Book Value. "True Pricing" is how we do things here at Pumpkin and almost everyday new customers that come in as referrals tell us that the customer that referred them states that they will never buy a car from anyone other than Pumpkin Cars. It literally happened twice yesterday...twice in one day! That is the highest complement we can receive from our customers. We love it. At the end of the day we know that we are doing business the right way and treating our customers the right way, or else they would not send in their family members, friends and co-workers to come buy a Pumpkin Car. So yet again, Pumpkin Fine Cars, is way ahead of a "current industry trend" and the "big guys" are playing catch-up. That would make us.....dare I say....trendsetters! So please come in and find out why we turn customers into raving fans. Maybe you will end up a raving fan as well....and drive off in a Pumpkin Car! Stop in and check out our unique indoor showroom, say hi to our friendly and knowledgeable staff and take one of our immaculate pre-owned cars for a free test drive today. As always you can find us online at http://www.pumpkincars.com/ , become a fan of Pumpkin Cars on Facebook, or follow @pumpkincars on Twitter. We can be reached by phone at 609-646-7676 or via email [email protected] . Pumpkin Fine Cars & Exotics' Car Of The Day...a 2006 Honda Accord EXL, 4-Door Sedan. This PRISTINE, PREOWNED Accord is in NEAR PERFECT CONDITION...LIKE NEW and LOADED DOWN WITH EXTRAS. Only 55,517 ORIGINAL MILES and a CLEAN & PERFECT TITLE HISTORY. Known for their longevity, these babies last for miles and hold their resale value as well as many luxury sedans do, such as BMW and Merecedes Benz. They are fast becoming the MOST RELIABLE & DEPENDABLE vehicles on the road today. Of course Owner, Franck Freon, picks nothing but the best. So if your driving a Pumpkin Car you can rest assure that it not only passed our Pumpkin Certfication, but that you are the proud owner of one of the best values your money can buy. At the selling price of ONLY $14,495.00 these Hondas NEVER LAST LONG! So HURRY IN and take it for a spin! This STUNNING Honda Accord EXL is still UNDER A FACTORY POWERTRAIN WARRANTY until June 2011!!! This vehicle is at the TOP OF IT'S LINE with stylish Gray LEATHER Interior, Power HEATED Seats, an IN-DASH 6-Disc CD CHANGER, Alloy Wheels, Power Moon Roof and so much more! If you are looking to SAVE SOME MONEY without sacrificing quality then this preowned Honda Accord may be just the right vehicle for you. GO GREEN w/ EXCEPTIONAL GAS MILEAGE & a Quick 4cyl. Honda Engine. Come in for a FREE, NO-HASSLE test drive today! Contact us at (609)646-7676 or email [email protected] for more information. For a complete listing of our pre-owned vehicles currently in-stock, visit us on the web at http://www.pumpkincars.com/. Pumpkin Fine Cars & Exotics' Car Of The Day...a 2004 BMW 330ci Sport, 2-Door Coupe. This IMMACULATE, pre-owned 330ci Coupe with SPORT PACKAGE is an EXTREMELY RARE FIND. In MINT CONDITION, it still has its "New Car Smell". With a STRONG, X-5 3.0 Liter 6-Cylinder Engine, Performance is SECOND TO NONE! This 330ci has only TWO previous OWNERS and a PERFECT TITLE HISTORY. If you want STYLE, PERFORMANCE and PRESTIGE all rolled up in one, then this Bad-Boy is for you. You won't find another one of this quality any where around. With ONLY 81,687 original miles, we're selling this vehicle BELOW BOOK VALUE for ONLY $15,995! The shiny Silver exterior on Black LEATHER interior is a perfect color combination. PACKED FULL of LUXURY OPTIONS including XENON Headlights, power/HEATED SEATS with MEMORY positioning, M3 SPORT STEERING WHEEL w/ Master Controls, 17 inch SPORT WHEELS, CD Player, Premium HARMON-KARDON Stereo System, Power MOON ROOF and SO MUCH MORE! This BMW 3-Series is for the DRIVER WHO DEMANDS MORE than just basic transportation. Fully serviced and PUMPKIN CERTIFIED, this 330ci is ready for a new home. Come in for a FREE, NO-HASSLE test drive and see why Pumpkin Fine Cars & Exotics beats out the competition when it comes to PRISTINE VEHICLES AT INCREDIBLE PRICES! Contact us today at (609)646-7676 or email [email protected] to schedule your test drive. For more information on this vehicle or other pristine cars in our inventory, log onto http://www.pumpkincars.com/. We have financing available, for those who qualify, and extended service plans to fit anyone's budget. If you want VALUE and QUALITY, there's only ONE PLACE TO SHOP...our Unique Indoor Showroom located on Fire Road in Egg Harbor Twp.